Posted on July 14, 2011 by Jason Mueller Posted in Releases	. This version made a drastic change to the calendar functionality. 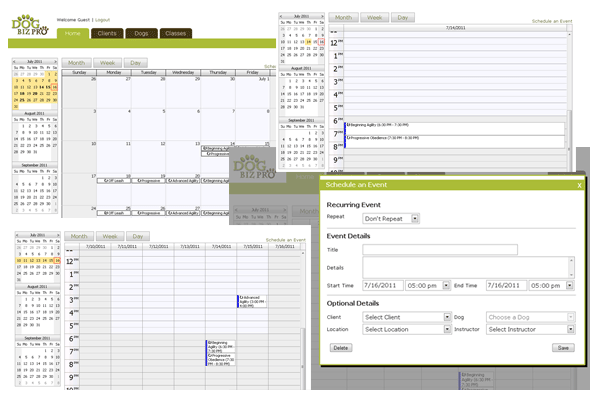 You now have the ability to schedule one-time or recurring events on the calendar. Use the additional information fields to schedule an event for a specific client, dog, instructor or location. Easily view your schedule in monthly, weekly or daily view. This version also gives you the ability to schedule classes in a non-weekly format. This works well for trainers who do not hold strictly weekly classes.